We’re Excited to Announce … Registration is Now Open! When: November 17, 2017: 2:00 p.m. — 3:30 p.m.
Click HERE to Register or Call Now to Reserve Your Spot! We’re once again partnering with fodada Clothing to promote empowerment and self-confidence. 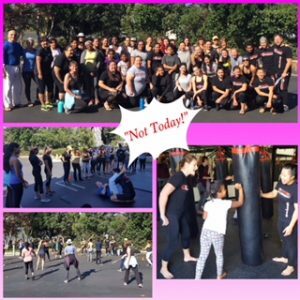 Tens of thousands of women will attend free self-defense seminars across the United States & beyond – including Pakistan, India, Africa and Israel. OCKMMA is honored to be a part of this important, international movement & powerful message to all women everywhere. This FREE seminar will be taught by our Resident Black-Belt Professor Mo Bakhtiari; Black-Belt Professor Matheus de Costa (Owner of Vulkan Gi); & OCKMMA’s very own skilled, martial arts coaches. See You On The OCKMMA Mat November 17!